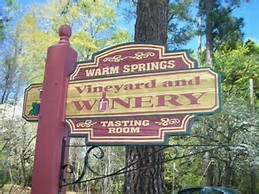 Warm Springs Winery is located just over an hour south of Atlanta and 45 minutes north of Columbus, Ga. 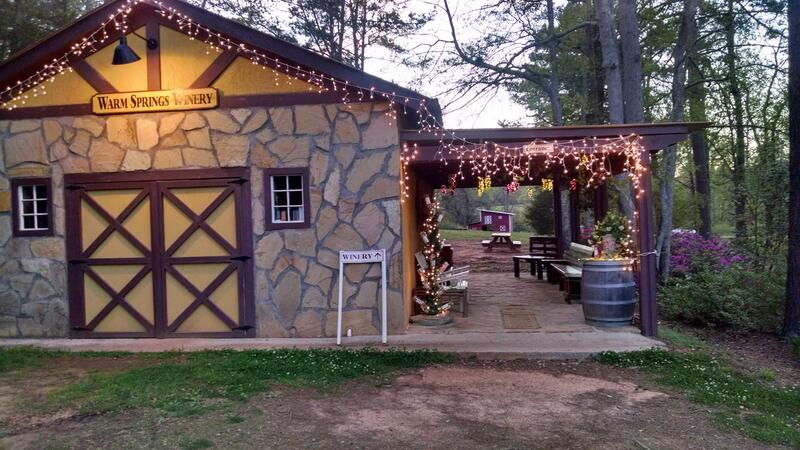 The winery specializes is unique muscadine wines from locally grown grapes, vinted and bottled on premises. The town of Warm Springs was the second home to Franklin Roosevelt. Located on 14 acres of rustic property 1.25 miles north of town and includes 2 acres of vineyard. 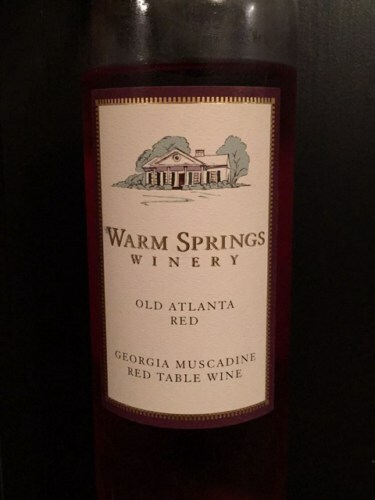 They specialize in muscadine grape wines and seasonal fruit wines such as peach and blueberry, and currently have 7 styles of muscadine wine. There are 3 whites, ranging in sweetness from dry to sweet. There is a dry red, off-dry blush, a semi-sweet rose, and a sweet red. All the fruit is from here and represents Georgia products 100%. Cost is $15 a bottle, which includes taxes. 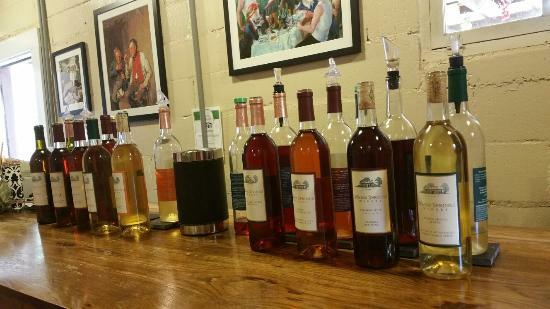 Seasonal fruit wines are available sometime in October or November.